So, as campaign managers and direct mail consultants, how do we reconcile the AAPC study and the standing academic literature? We should not discount either lest we run the risk of making unintelligent and statistically unsupported decisions or alienating an entire (and rapidly growing) group of voters. We must smartly draw from the conclusions of both sets of data and find the middle ground to make wise strategic and tactical decisions for our campaigns and clients. Direct mail is a novelty to Millennials. A quick glance around a university campus or local coffee shop reveals that Millennials largely focus their attention on digital platforms. Recent studies confirm these empirical observations, indicating that Millennials spend “an amazing 6 hours and 35 minutes a day…on mobile devices and PCs.” Given that they are glued to their Internet-connected screens for more than a quarter of the day, it is no wonder that direct mail is appealing to them. It is something tangible, and it gives their eyes a break from the glow of a screen. For older voters, postal mail brings bills and junk mail; for Millennials, who largely pay their bills online, postal mail is not something they dread retrieving daily. In fact, the AAPC study also revealed that Millennials look forward to getting mail, they either thoroughly read it or at least scan it, and they largely prefer direct mail to other kinds of political advertising. Older voters pay closer attention to politics than younger voters. Thus, older voters don’t need mail to remind them of an upcoming election. Conventional wisdom deems that age is a leading indicator of voter participation. As such, older voters, who know when the elections are, do not need the reminder to go vote that younger voters do. This shows in the AAPC study where barely over half of non-Millennials claimed to use political mail as a turnout reminder. Campaign managers and direct mail consultants should continue using direct mail as a GOTV tool, augmented with other grassroots activities, but should also set realistic goals for their mail program. Green and Gerber conclude their direct mail chapter with the assertion “…direct mail does nudge voter turnout upward, but it is important to be realistic about what to expect from such a campaign.” Winning campaigns is all about making smart decisions, and how we define our direct mail strategy should be no different. Mail is not a dead or dying method of voter contact or GOTV operation, but it is changing. And if we campaign managers and direct mail consultants are going to survive in the electioneering sphere, we must evolve with it. 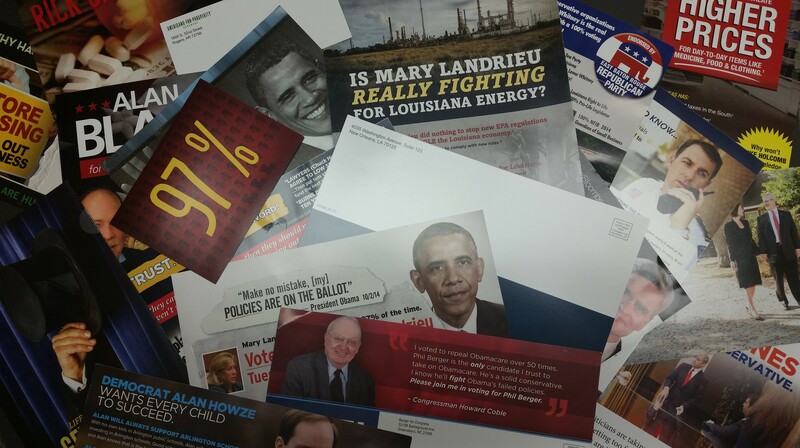 We have to, as the AAPC study did, identify trends in how the electorate responds to campaign materials. As younger voters are inundated with banner ad and screen takeovers, direct mail is a refreshing alternative to the intrusion of advertising into their digital space. Indeed, mail is not dead; to Millennials, it’s brand new.